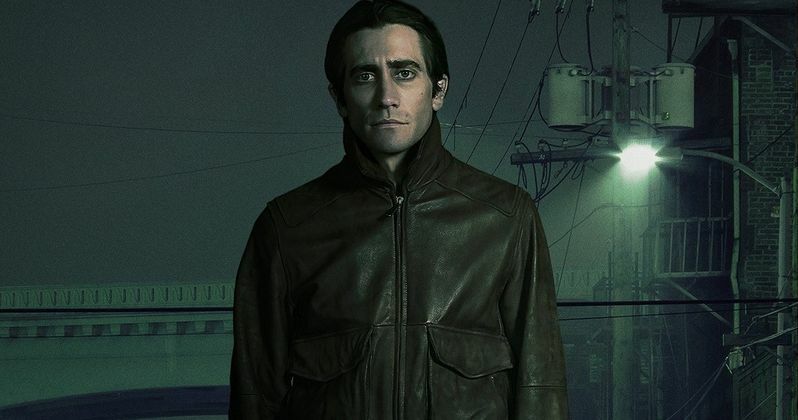 Explore the seedy and violent side of Los Angeles through the eyes of a freelance crime journalist in a new TV spot and poster for Nightcrawler. Armed with a video camera, a cherry-red Dodge Charger and his colleague Rick (Riz Ahmed), Lou Bloom (Jake Gyllenhaal) does whatever it takes to capture breaking news live. Set in the nocturnal underbelly of contemporary Los Angeles, Nightcrawler follows this driven young man who is desperate for work. He soon discovers the high-speed world of L.A. crime journalism. Joining a group of freelance camera crews who film crashes, fires, murder and other mayhem, Lou muscles into the cut-throat, dangerous realm of night crawling, where each police siren wail equals a possible windfall and victims are converted into dollars and cents. Aided by Rene Russo as Nina, a veteran of the blood-sport that is local TV news, Lou blurs the line between observer and participant to become the star of his own story. Check out the latest footage and the one-sheet from director Dan Gilroy's thriller that is being called a "modern masterpiece" and "the most original thriller of our time," in theaters October 31.